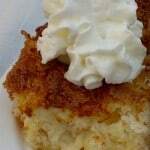 Unfortunately, traditional party food is usually far from Weight Watchers friendly. 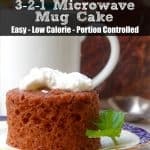 But with a little planning and a few ingredient substitutions, it’s possible to partake in the party food without blowing your points budget. 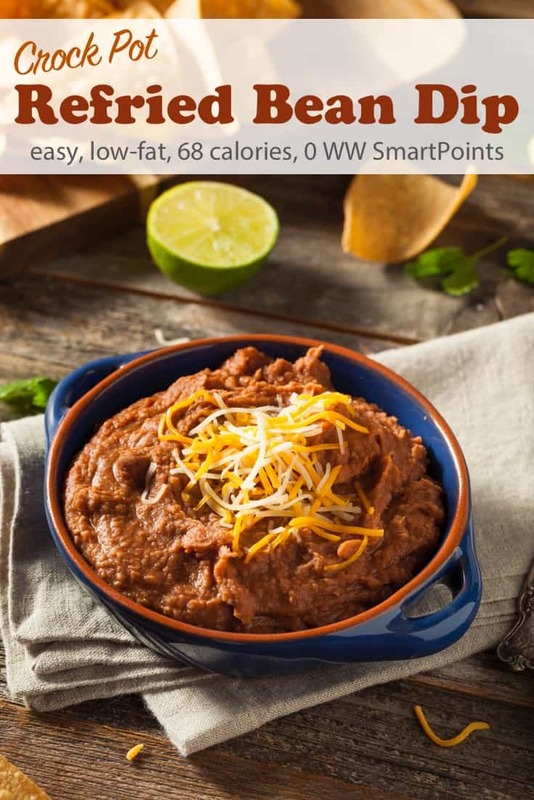 Thanks to fat-free refried beans, cheese and salsa, this simply delicious crock pot refried bean dip has only *1 Weight Watchers PointPlus/SmartPoint per serving and meets the guidelines for Simply Filling too, provided you enjoy it with raw veggies. 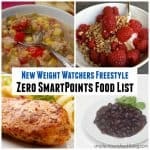 Under Weight Watchers new Freestyle Plan, this is now *0 Freestyle SmartPoints per serving! 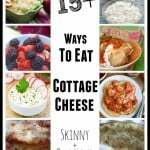 So, get out your slow cooker so you can savor this yummy dip! Enjoy! If you’ve made this refried bean dip, please give the recipe a star rating below and leave a comment letting me know how you liked it. 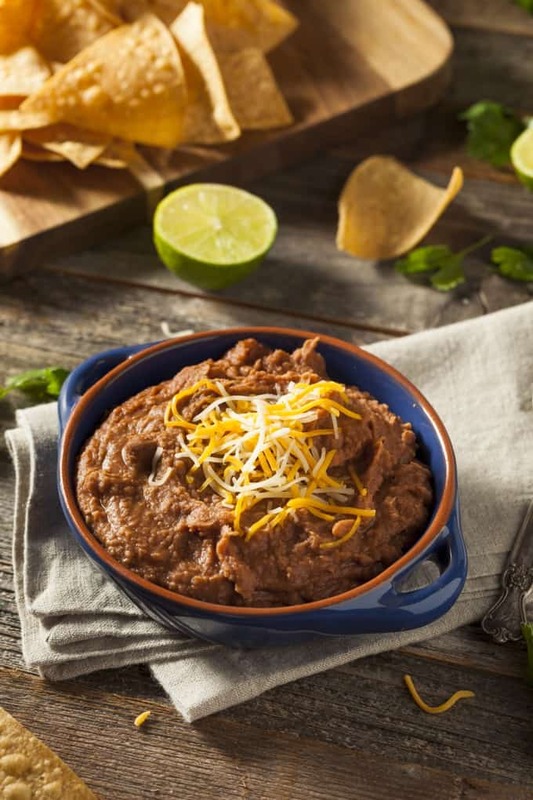 Crock Pot Refried bean dip, a light and delicious way to enjoy your next party without packing on the pounds! 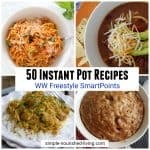 Ideal slow cooker size: 1-1/2-Quart. 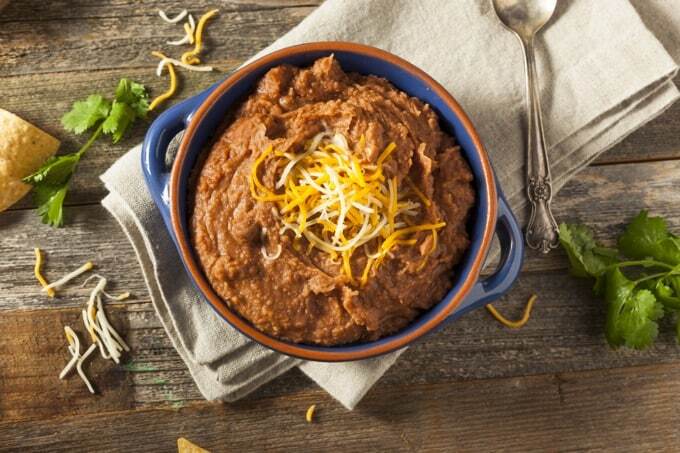 Combine the refried beans, salsa, cheese, chili powder and garlic powder in your crock pot. Cover and cook on LOW for 2 to 3 hours, until the mixture is hot and the cheese is melted. Give the mixture a quick stir every hour or so to check on it's progress. 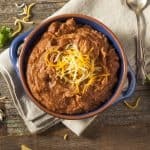 Serve this easy crock pot refried bean dip right from your slow cooker or dump it into a serving dish. If desired, you can doll it up by sprinkling chopped green onion and/or cilantro on top. Serve with corn chips and/or raw vegetables for dipping. 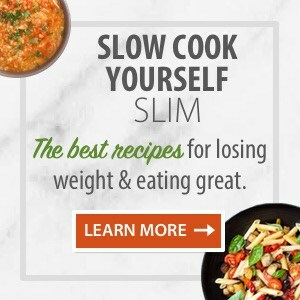 Adapted from: Fix-It and Forget-It Big Cookbook: 1400 Best Slow Cooker Recipes (affiliate link) by Phyllis Good. 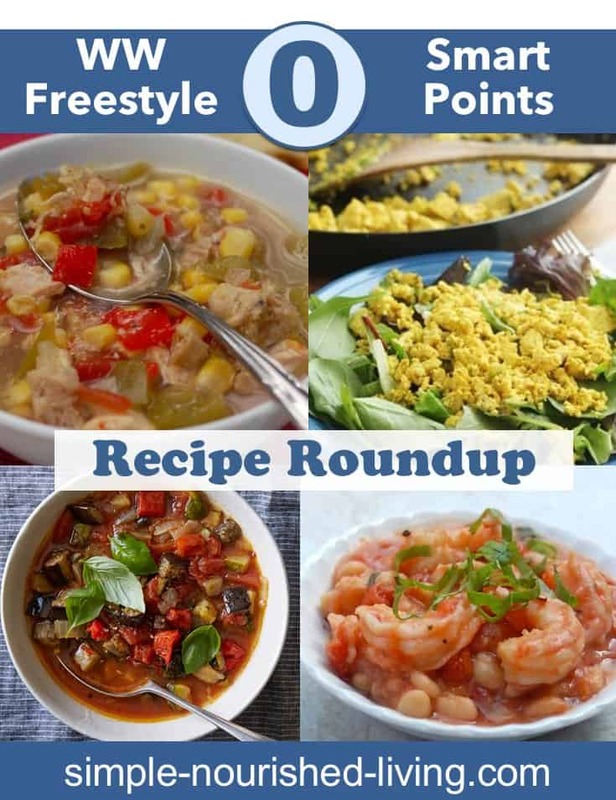 If you liked this crock pot refried bean dip you might also want to check out my Favorite Skinny Dips and Spreads eCookbook that is included with my best-selling Slow Cook Yourself Slim eBook Bundle filled with more than 40 delicious dips that don’t taste diet-y!! 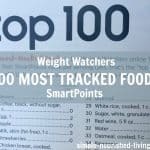 Inside you’ll find some of my favorite recipes for dips such as 7-Layer Taco Dip, Skinny Buffalo Chicken Dip, 5-Layer Greek Dip, Slow Cooker Pizza Dip, and the to-die-for Creamy Pumpkin Pie Dip which is a perfectly satisfying sweet ending to any meal or stand-alone snack.